FAMILY-RUN small business Ozbid is continuing to revolutionise the world of indigenous art. And this time they are bringing artworks by the acclaimed George Hairbrush Tjungurrayi to Noosa. Tjungurrayi's artwork Tingari Dreaming was this year showcased in the prestigious Biennale of Sydney, which is regarded as one of the leading international contemporary art events, and Ozbid is making his work available for all to enjoy during this event. "His work successfully borders the lines of contemporary art. George Hairbrush Tjungurrayi has exhibited in Australia's national galleries, as well as across the world in New Zealand, France, The Netherlands and the United States. This auction will feature a range from small works by George Hairbrush Tjungurrayi up to a masterpiece that will go under the hammer on the day. 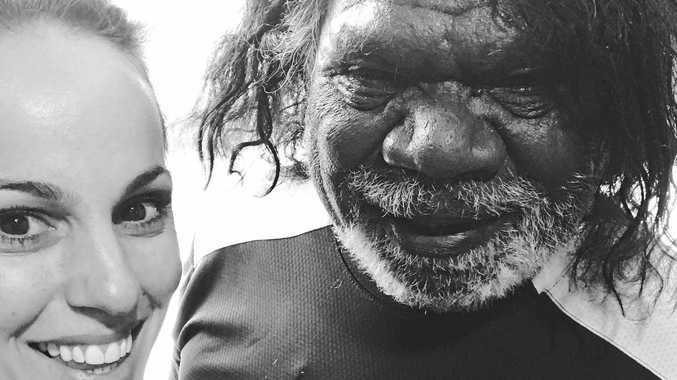 "Our aim is to continue bringing Australia's best indigenous artists to places throughout Australia who would otherwise not have access to such talent,” Ms Fragomeli said. Ozbid was awarded Champion Indigenous Business 2017 and continues to work closely with hundreds of acclaimed indigenous artists. On September 16, it will be showcasing 180 artworks that will go under the hammer via auction. Viewing starts at 11.30am, with the auction taking place at 1pm at the Sofitel Resort on Hastings Street. All are invited to this free once-only Noosa event to view the stunning works by George Hairbrush Tjungurrayi and others available on the day.